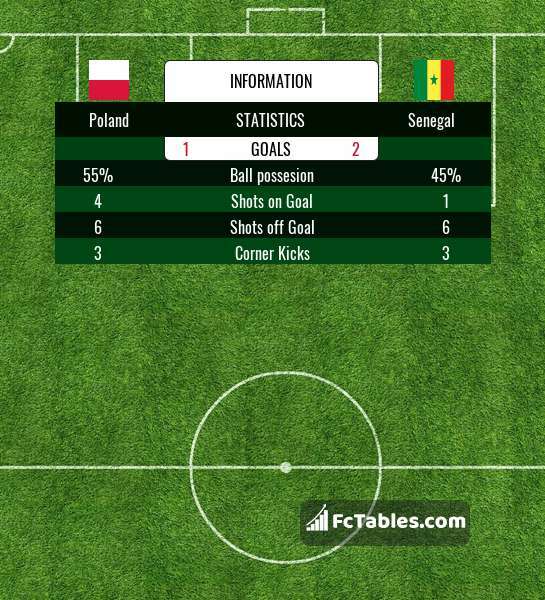 Match Poland-Senegal World cup the fixture is set to kick-off today 15:00 on Otkrytiye Arena. Refereee Nawaf Shukralla. Team Poland is located in the middle of the table. (2 place). In 5 last games (league + cup) Poland get 0 points. Team Senegal is located in the middle of the table. (3 place). Last 5 games (league + cup) finished balance 0 points.